Today yoga has a large following in the West and many consider it synonymous with posture practice. How has hatha yoga, specifically asana practice, taken center stage, and what role has the West played in that? These are questions addressed in two new releases: Yoga Body: The Origins of Modern Posture Practice, by Mark Singleton, and The Subtle Body: The Story of Yoga in America, by Stefanie Syman. At the time of Vivekananda’s synthesis of yoga in the 1890s, postural practice was primarily associated with the yogin (or more popularly, “yogi”). This term designated in particular the hatha yogins of the Nath lineage, but was employed more loosely to refer to a variety of ascetics, magicians, and street performers. Often confused with the Mohammedan “fakir,” the yogi came to symbolize all that was wrong in certain tributaries of the Hindu religion. The postural contortions of hatha yoga were associated with backwardness and superstition. Yoga and Buddhism are sister traditions which evolved in the same spiritual culture of ancient India. They use many of the same terms and follow many of the same principles and practices. For this reason it is not surprising that many of us born in the West, particularly after an initial exposure, are apt to regard Yoga and Buddhist teachings as almost identical. However, the tendency to find commonality between these two great spiritual traditions is not limited to the West. Swami Vivekananda, the first great figure to bring Yoga to the West, examined the Buddhist Mahayana scriptures (Sutras) and found their key teachings and those of Vedanta that he followed to be ultimately in harmony. In recent years with the influx of Tibetan refugees into India, including the Dalai Lama, there has been a new dialogue between the two traditions that is bringing about greater respect between them. Tibetan Buddhists often appear at Hindu religious gatherings and partake in all manner of discussions. Nor is the attempt to connect the two traditions limited to modern times. Various synthetic Hindu-Buddhist teachings have existed through history. Buddha himself was born a Hindu and some scholars have argued that Buddhism as a religion apart from Hinduism did not arise until long after the Buddha had passed away. 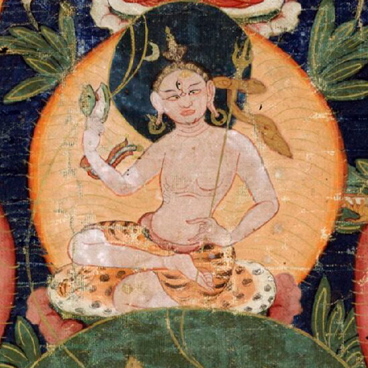 A Shiva-Buddha teaching existed in Indonesia in medieval times, and for many Tantric Yogis it is difficult to tell whether they were Hindus or Buddhists. Buddha became accepted as an avatar of Vishnu for the Hindus during the medieval period, and most Hindus still consider that we live in the age of the Buddha-avatar. Most Hindus accept Buddha as a great teacher, even if they do not accept all Buddhist teachings. Yet, similarities and connections aside, the two traditions have had their differences, which have not always been minor. Such synthetic trends did not exclude disagreements and debates between the two traditions. Nor did they ever succeed in fully uniting them. Their traditions and lineages remain separate to the present day. Generally the Hindu Yoga tradition sought to absorb Buddhism into itself by reinterpreting Buddha in a Vedantic light. Buddhism however strove to maintain its separate identity by stressing its disagreements with Vedic theism or the Vedic recognition of a higher Self. Most Hindu and Buddhist teachers, including those of the different Yoga schools of Hinduism and Tibetan Buddhists, have found it necessary to discriminate their doctrines, particularly on subtle levels of practice and insight. Refutations of Buddhist teachings are common in yogic texts and refutations of yogic and Vedantic teachings are common in Buddhist texts. So while we can honor the connections between these two systems, we cannot overlook their differences either. 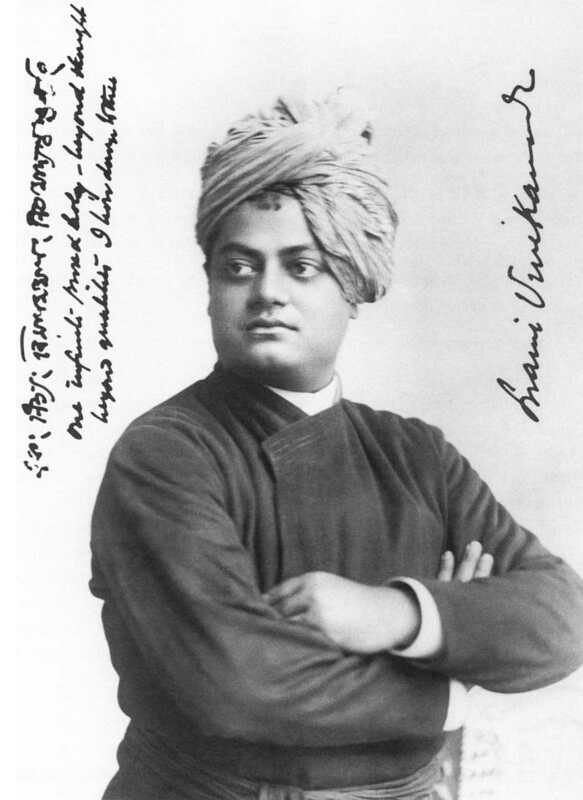 For decades before Vivekananda’s arrival here, the yoga teachings of India had been percolating in the minds of many influential Western writers and spiritual figures. Their first contact with India’s scriptures came through the Upanishads and the Bhagavad-Gita, considered by historians the world’s oldest surviving holy books. Around 1815, a friend and fellow scholar gave the German philosopher Arthur Schopenhauer translations of these two sacred texts. Schopenhauer was intrigued. He incorporated his understanding of these yoga teachings into his groundbreaking philosophical treatise, The World as Will and Idea. In the preface, he wrote, “’I believe that the influence of the Sanskrit literature will penetrate not less deeply than did the revival of Greek literature in the fifteenth century.” He made the startling prediction that the scriptures of India “… are destined sooner or later to become the faith of the people.” The influence of Schopenhauer among Western intellectuals was vast. Through him, philosophers, writers, and composers such as Nietzsche, Wittgenstein, Tolstoy, Mann, Wagner, and Jung were introduced to Indian philosophy. Among the first Americans to embrace Indian philosophy with its “supreme task of transformation” were Ralph Waldo Emerson and Henry David Thoreau, the co-founders of American Transcendentalism. In 1836, Emerson wrote an essay that probably included the first reference to the Bhagavad-Gita in a book published in America. In 1854, Thoreau, in Walden, one of the most beloved of all American essays, wrote, “In the morning I bathe my intellect in the stupendous and cosmogonal philosophy of the Gita, in comparison with which our modern world and its literature seem puny and trivial.” Through the efforts of Emerson, Thoreau and others, the fertile ground of American soil had been well tilled and fertilized in preparation for the arrival of the first yogis in the West. Among this group was Swami Rama Tirtha, a student of Vivekananda’s, who, following the advice of his teacher, was the next yogi to land in America. He arrived in San Francisco in 1902-1903, and lived and lectured there for about 18 months before returning to India. During this time, Rama Tirtha gained a sizeable local following and started several yoga societies. Not until 1919, when Yogendra Mastanami arrived in New York, did another sage of India come to America. Mastanami stayed for three years, and taught his system of yoga postures to Benedict Lust, the founder of naturopathy. Lust, in turn, was among the first to champion this early version of hatha yoga as an alternative healing technique, rather than a purely spiritual science, as it was originally conceived by the rishis, or ancient yoga masters of India. The visits to American shores by Vivekananda, Rama Tirtha, and Mastanami were true historic events; yet they stayed here for only brief periods. None expressed that their primary mission was to live and teach in the West. That remained the destiny of one who is arguably the most honored and influential of all Yoga masters to arrive here before or since.